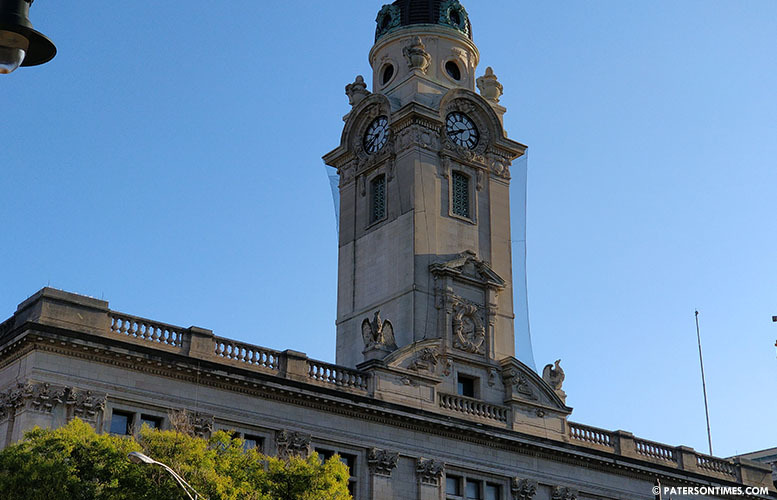 The city council approved a series of workers compensation payouts that go back to 2002 on Tuesday night. Council members approved 8 workers compensation claims and did not act on 7 others following a closed-door meeting. $51,399 for Lawrence Mims, a public works laborer, for alleged injuries sustained in four incidents. On May 17, 2010, he injured his head, back, neck, left shoulder, and right leg while unloading a truck; on Apr. 11, 2011, he injured his back, head, neck, left leg, thigh in a vehicle accident; on Feb. 13, 2014, he injured his right second finger he he struck his hand on a truck steering wheel; on Dec. 23, 2014, he injured his lower back in a motor vehicle accident. $82,530 to public works employee Antonio Caraballo. He allegedly injured his back, neck, shoulders when his truck was rear-ended by another vehicle on Oct. 16, 2014. $24,912 to police officer Charlie Garcia. He was in an alleged accident on Jan 24, 2014 sustaining injuries to his head, neck, back, left leg, and right shoulder. $48,607 to police officer Gines Rodriguez for two incidents. On Dec. 31, 2002, he slipped and fell on black ice in the police headquarters parking lot. On Jun. 2, 2005, he re-injured his back and neck making an arrest. $34,005 to police officer Brian DeCando for two separate incidents. On Aug. 22, 2014, he allegedly injured his back, neck, and right shoulder making an arrest. On Sept. 21, 2016, DeCando was involved in a vehicle accident and injured his head, neck, left shoulder, and lower back. $41,045 to police officer Manuel Gonzalez for five separate cases. On Dec. 4, 2011, he fell chasing a suspect and injured his knee. On Mar. 11, 2012, another vehicle struck his patrol unit leaving him with a neck injury. On Aug 12, 2013, he injured his right and left hands struggling with a suspect. On May 26, 2014, he injured his neck, shoulder, and knee making an arrest. On Sept. 4, 2015, he felt a pop in his calf while chasing a suspect on foot. $13,500 to Ismael Bezares. A tree hit him in the back knocking him onto the ground causing back pain and sprained ankle on Nov. 2, 2013. He was cutting trees while standing on a stump when the accident happened. $6,000 to Mary Spivey. A suspect charged at her on Jan. 30, 2012 injuring her right knee. $43,635 to Christopher Tirtilli. He allegedly dislocated his left shoulder on Mar. 21, 2016 while pulling down a ceiling and his tool got stuck when responding to a fire, according to city records. $108,000 for Joyce Dubose. On Mar. 22, 2015, Dubose, a supervisor at the Municipal Court, injured her neck and lower back while lifting a box. $24,544 to police officer Lou Pacelli. He was chasing and arresting a suspect on Mar. 16, 2015 when he injured his right leg. $3,500 to Miguel Cepero. On May 2, 2016, his vehicle was struck by another car resulting in neck and lower back pain. $10,000 for Jesus Perez. He injured himself on Feb. 26, 2015 and Nov. 17, 2015. He was restraining a passenger in an ambulance when the vehicle swerved injuring his left elbow, right shoulder, and lower back. In the second case, he rolled his left ankle while at a fire scene. $33,957 for firefighter Andrew Lincoln. He injured his right shoulder on Nov. 8, 2015 when he slipped getting into a fire truck. $20,880 to firefighter Jose J. Mercado. On Mar. 30, 2016 he allegedly fell through a roof at a fire scene and injured his left leg and lower back. Velez said the other cases will be considered during a future meeting. The city’s budget does not have enough money to cover the workers compensation claims. Next week, the council has to consider emergency appropriations to cover the claims.